A rich, comforting, decaf tea latte, brimming with vanilla and spices. Brew with double the amount, add dairy or nondairy milk, and sweeten well for a homemade version of a coffeehouse treat. Love O! 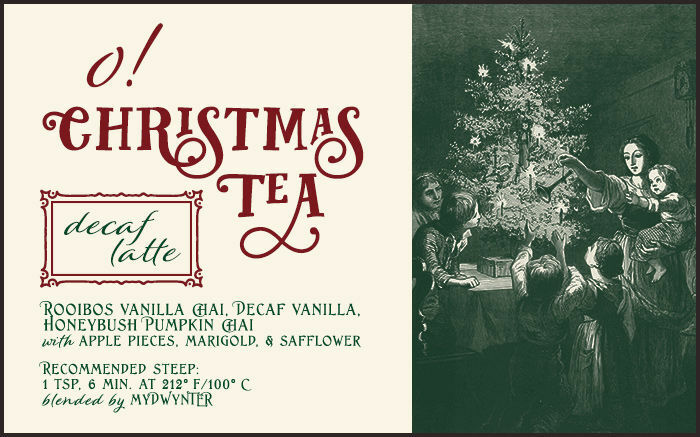 Christmas Tea Latte? This is just one of 8 teas in this fandom. Check out the whole series.